Greetings Loyal Airmen, this past weekend Val and the Air Chief were down in Denver for the sixth annual Rocky Mountain Con. This remains our favorite convention of the year and this one proved to be the best ever. Although still feeling the after effects of our recent bout of bronchitis, there was no way we were going to miss the fun show at the Embassy Suites Hotel. Our good friend Tim Moret runs the show and this year made it solely about comics and their creators, with no Hollywood celebrities at all. Proved to be a very wise decision as all the creators and vendors reported record sales both Sat and Sun. It was truly amazing from the minute the doors opened Sat morning, fans kept arriving. The Air Chief’s own supply of comics began to dwindle rapidly as sales were non-stop. Looks like we’ll be re-ordering soon to resupply our inventory. To all our old and new friends who stopped by our table to support us once again, our heartfelt thanks to each and every one of you. We simply couldn’t do this without your continued patronage. 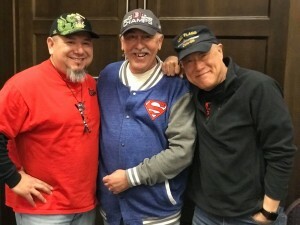 Now we did say Tim eschewed having any TV or movie guests, but he did have one very special comic creator guest and that was the amazing Mr. Larry Hama who back in the 80s brought the G.I. Joe toy line to comics life at Marvel Comics. Larry is also a veteran and as the show did fall on Veteran’s Day Sunday, our mutual pal, and former Army Sgt. Rio Herrera got the above shot of us old vets. (Rio – the Air Chief – Larry Hama). Larry is a great guy and personally signed a copy of one of his latest IDW G.I. Joe comics for Valerie. Super fan Bret Smith is another member of our comics community here in Colorado, and during the week prior to the con he started posted comics covers from those of us who we be in attendance. 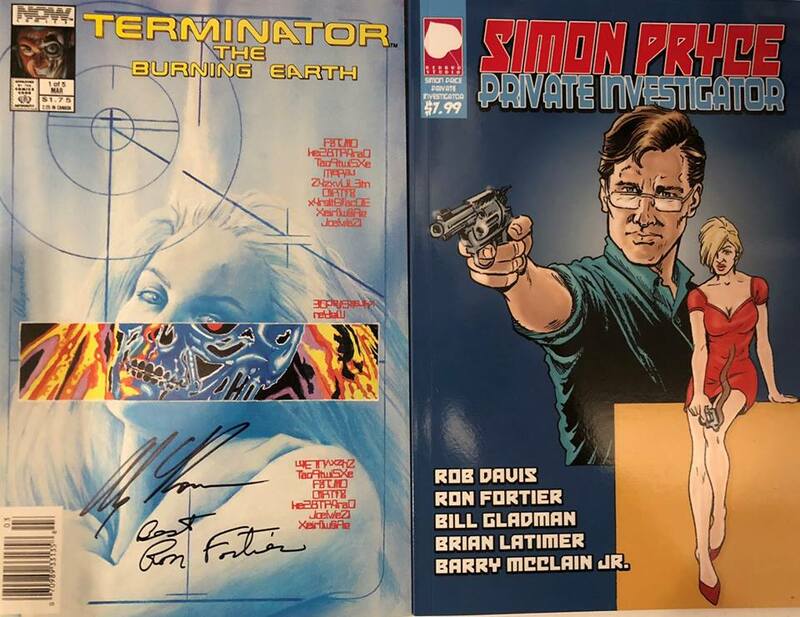 In doing so he posted the image above of two of the Air Chief’s works; the first issue of Terminator – Burning Earth done years ago and our recently Simon Pryce Private Investigator title. What we had not taken notice of upon first seeing the image was the two signatures on the Terminator book. You see, Bret had the Air Chief sign this comic almost eight years ago when we first met after moving here to Colorado. Then last month, he was in New York City for their big annual comic con and there met super star artist Alex Ross. The same Alex Ross who began his comics career illustrating Burning Earth and so Bret had Alex also sign his number # 1 making it now a truly rare and valuable collectors items. Although the news of Stan Lee’s passing at 95 a few days ago wasn’t totally unexpected, it did come as a blow to the entire comics community. 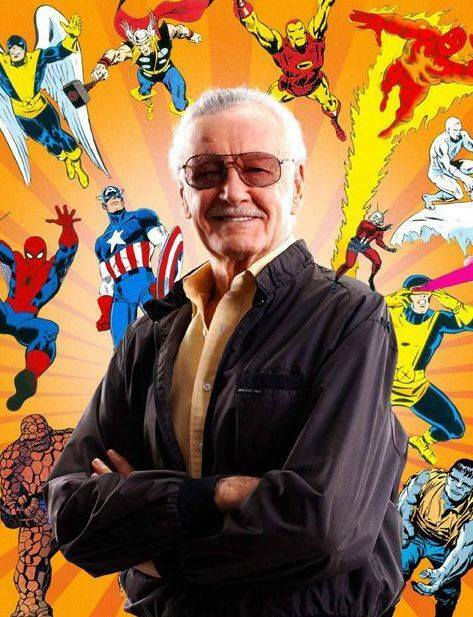 Stan’s influence on several generations of comic lovers is impossible to fully comprehend. 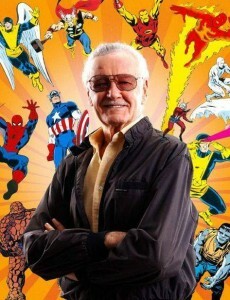 We were all of 13 when he and a group of amazing artists launched Marvel Comics in the early 60s. From that point on comics would never be the same. Along with fellow creators Jack Kirby, Steve Ditko, Don Heck, Sal Buscema and so many others, Stan gave us a universe of heroes to teach and inspire us throughout the coming decades. We doubt seriously we would have had our own career had it not been for Stan. He was our hero from the start and will always remain so. Stan could spin a yarn like nobody else. He truly loved the media and knew how to use it properly. Early on, when the team of Ron Fortier & Gary Kato came on the scene, one of our first ever projects was a four part mini-series based on a courageous high school teacher who became a vigilante to stop the spread of drugs on his hometown streets. We called him STREET-FIGHTER. 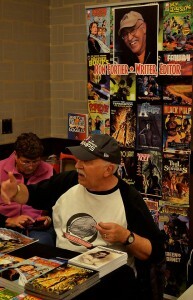 When the first issue came out, the late comic review Don Thompson lauded it highly in his weekly column. 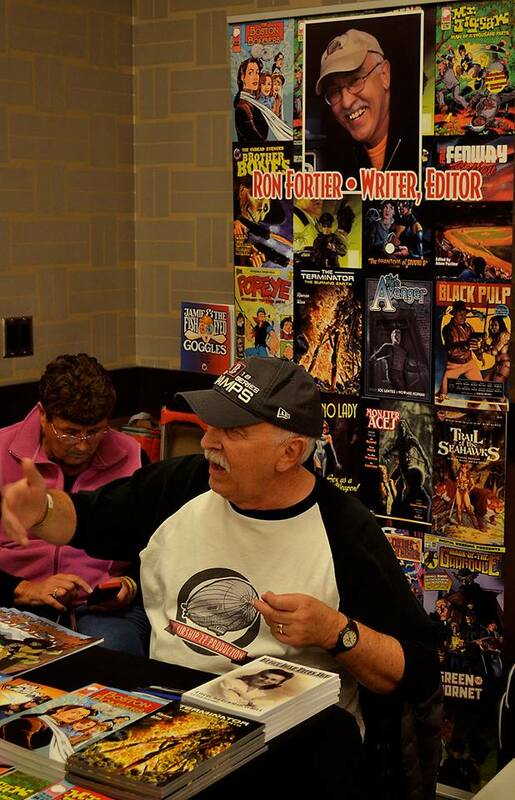 He compared Gary’s art to Ditko and said…”Fortier writes like Stan Lee.” We never forgot those words, they were the highest compliment we could ever have hoped for. R.I.P. Stan Lee, and from the bottom of all our hearts, THANK YOU. A with Stan Lee’s passing, it is only fitting we end this week’s Flight Log with a comic page. 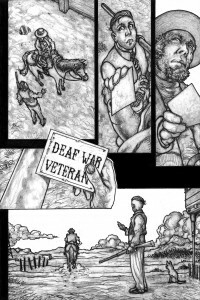 Here is the final page of “The Silent Gun,” as written by the Air Chief and illustrated by Spanish artist Cesar Madarro. With fingers crossed it will soon find its way in some black and white anthology. We’ll keep you posted. That’s it for this week, Loyal Airmen. As ever thanks for stopping by.